I wasn't planning to visit Brean Leisure Park today, but a last minute change of circumstances left it as the best way for me to spend a few hours. 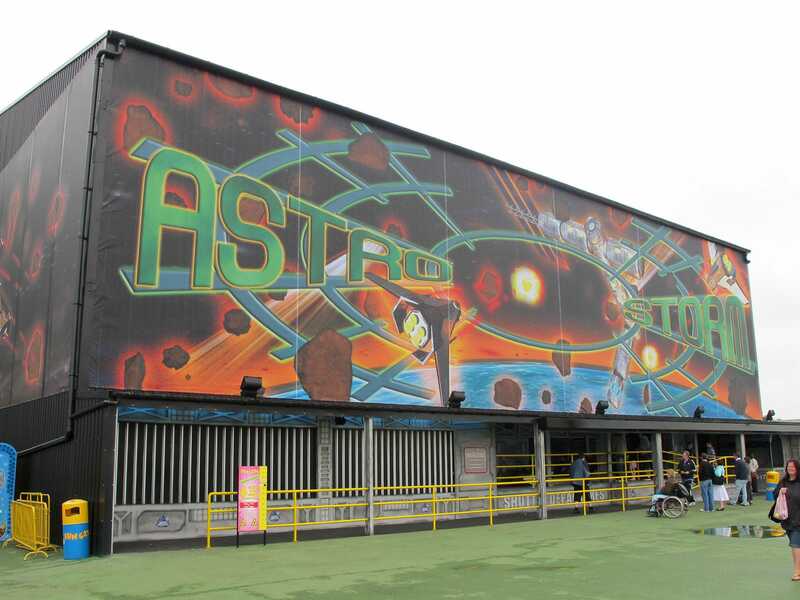 It was also an opportunity to try out Astro Storm, recently relocated from Blackpool Pleasure Beach. The rebuilt ride has been enclosed, and quite a bit of money has been made on the exterior theming. Unfortunately there's nothing to speak of inside other than a few air jets and a few faint flashing lights at each block brake; it's certainly not a patch on what it used to be in its former home.